“When God makes a covenant with us, God says: ‘I will love you with an everlasting love. 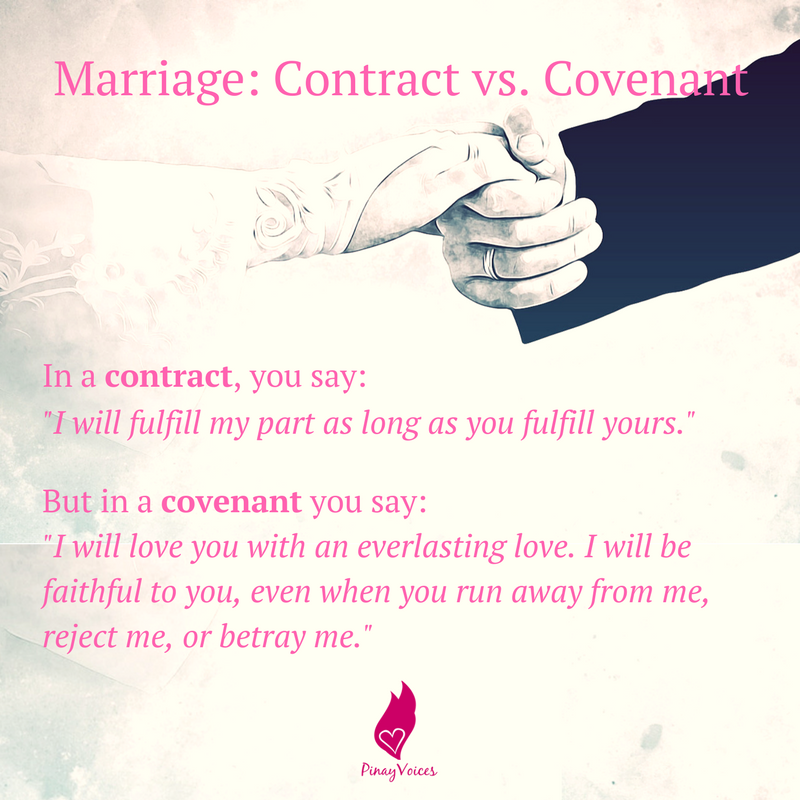 I will be faithful to you, even when you run away from me, reject me, or betray me.’ In our society we don’t speak much about covenants; we speak about contracts. When we make a contract with a person, we say: ‘I will fulfill my part as long as you fulfill yours. When you don’t live up to your promises, I no longer have to live up to mine.’ Contracts are often broken because the partners are unwilling or unable to be faithful to their terms.